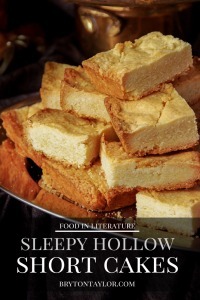 The shortcakes mentioned in The Legend of Sleepy Hollow led to a search for an authentic recipe from the late 1700’s. A more modern recipe suggested that shortcake were like the shortbread cookies we look forward to at Christmas time. The difference was that they were baked in a pan first, then sliced. 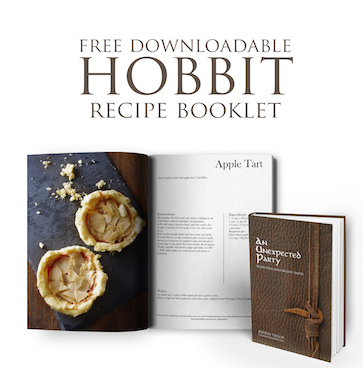 Other searches suggest shortcakes are like boterkoek, more cakey, heavy and rich. However, I also came across a recipe in The Frugal American Housewives cookbook from 1829 that I ultimately decided to follow. The end result was a scone-like cake, limited in sweetness, that allowed for a slathering of cream, as was served on the Sleepy Hollow table. Based on the original recipe, the shortcake should be baked in a ‘spider’ over the fire or hot coals. A ‘spider’ was a cast iron or sheet metal pan with long legs to stand over the flames, with potentially a long handle–remembering that in the 1700s to early 1800s when The Legend of Sleepy Hollow was both based and written, the kitchen included an open hearth for cooking. As our kitchens have evolved since the 1800s, I used an oiled cast iron pan. It was unclear from the original recipe how big the cast iron pan would’ve been, so it’s possible the shortcakes were thinner in size than what I’ve created. Sift together the flour and baking soda, then stir and rub the wet ingredients in with the dry ingredients. Spoon into an oiled cast iron pan and bake in a preheated oven of 160C for 20 minutes. 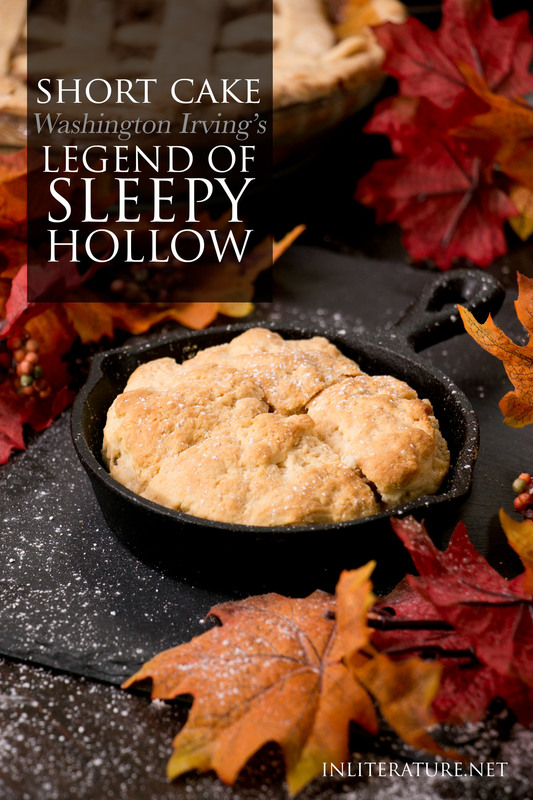 To browse other Sleepy Hollow recipes, visit the original post on Throwing A Legend of Sleepy Hollow party.